Amazon said it will hire more than 25,000 employees in each location and open an "Operations Center of Excellence" in Nashville that will include more than 5,000 jobs. 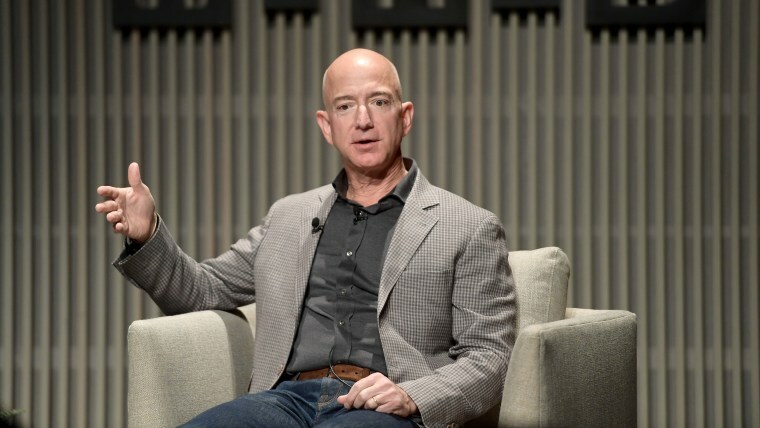 Amazon announced on Tuesday that it will be building new offices in New York City and outside Washington, D.C., splitting its highly anticipated second headquarters between the two locations. The offices will be located in Long Island City, a neighborhood in the Queens borough of New York City, and Crystal City, a section of Arlington, Virginia, just south of Washington. Amazon already had sizable offices in both cities. Amazon said it will hire more than 25,000 employees in each location, and open an "Operations Center of Excellence" in Nashville that will include more than 5,000 jobs. The three developments include sizable tax incentives for Amazon, which the company projected could hit $2.2 billion. The announcement came after an intense pitch process in which an initial list of bids from more than 230 cities was whittled down to 20 finalists in January. Amazon had previously said it would choose one location for "HQ2," as the project came to be known. While the project was initially greeted with a wave of optimism from politicians and city officials who hoped to attract Amazon's investment, the decision to split the headquarters between two of the country's richest cities has resulted in growing skepticism around Amazon and the entire HQ2 process. “Amazon extracting highly favorable terms, only to halve its promise and expect those same terms, is an exercise of bargaining power that will be familiar to many of the millions of merchants reliant on Amazon’s platform,” tweeted Lina Khan, a senior fellow with the Open Markets Institute, a think tank that studies monopoly power. In Long Island City, Amazon said it expects to receive $1.5 billion in tax incentives for the 4 million square feet of office space and thousands of employees the company projects for its new headquarters. The company said the economic impact of the office will generate more than $10 billion in tax revenue over the next 20 years. In Arlington, Amazon said it expects to receive $573 million in incentives for the same investment. The company said that office would generate $3.2 billion in tax revenue in the same time period. Amazon said hiring for the new offices is scheduled to begin in 2019. The smaller Nashville office will include an investment of $230 million and use 1 million square feet of office space, which Amazon said would create tax revenue of $1 billion over the next 10 years. Amazon said the city agreed to tax incentives of up to $102 million. Amazon started the well-publicized search for its second headquarters in September 2017, announcing that it was on the hunt for a location outside of its Seattle home to accommodate 50,000 workers. The company listed a variety of conditions for prospective host cities including a business-friendly tax environment, a growing workforce and proximity to a major airport. Competition for the new campus was fierce, driven by hopes of enjoying the economic benefits of having one of the world's most valuable companies set up shop in town. According to data provided by Amazon, the company's investments in Seattle from 2010 to 2016 added $38 billion to the city's economy. Amazon said its second headquarters would include an investment of up to $5 billion. The decision to pick Washington was applauded by Steve Case, the co-founder of AOL who now runs venture capital firm Revolution, though he also noted that smaller cities that were not chosen by Amazon should not be discouraged. "I hope those cities will view this not as the end, but as a new beginning," Case wrote in a statement posted to Instagram. "The coalitions they formed and the plans they made in creating a bid for Amazon's HQ2 can be repurposed to strengthen the startup sector in their cities."